Frozen is one of our top movie choices still. With the promise of a Frozen 2 movie in the next couple years, we will just have to settle for more Frozen activities instead! 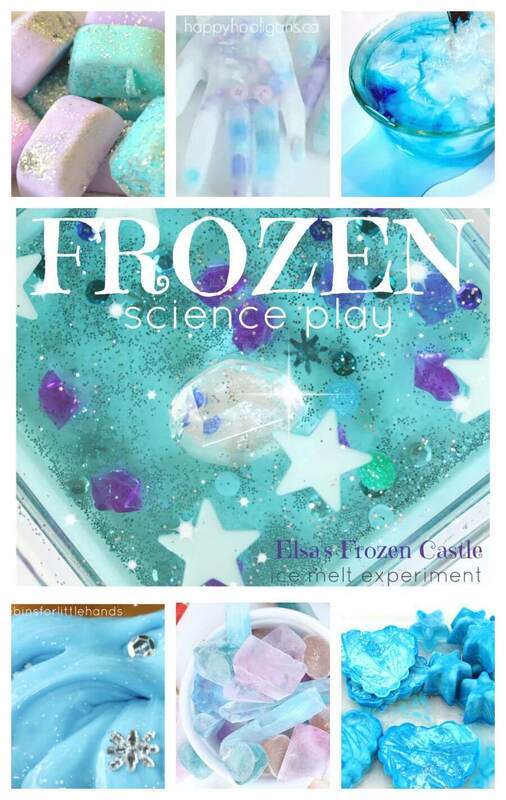 We have enjoy several science Frozen activities and there are many more neat ideas left to try. All of these sensory science themed Frozen activities are so much fun but also easy to actually do at home! Does your child love Elsa, Anna, or Olaf. My son loves Olaf and I can hear him singing along to the songs daily. We created fun slimes as one of our first science and sensory themed Frozen activities to go along with our love for the movie! These awesome Frozen activities are not only beautiful but educational. Explore concepts such as chemical reactions, ice melting, water science, non-Newtonian fluids, polymers, and suspension with crystal growing while improving fine motor skills too! These Frozen activities are also science you can feel with great tactile sensory components for very hands-on learning. 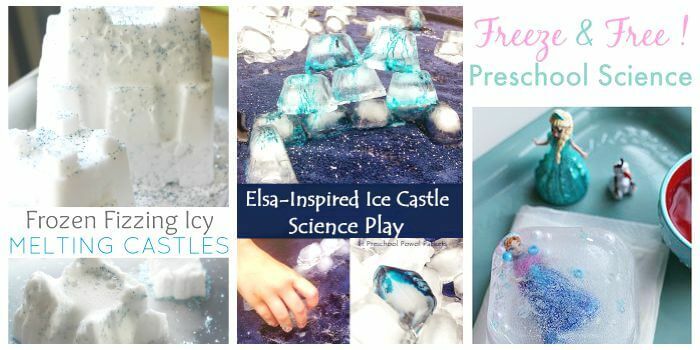 15 Frozen Activities for Science and Sensory Play Kids Will Love! Click on the links below to take you to all the information you need to set up these science and sensory play Frozen activities. The materials needed are common and often found in your pantry. If not, you should be able to pick up everything you need on your next trip to the grocery store. I always keep a stock of baking soda, vinegar, cornstarch, and food coloring for all sorts of quick science ideas! Enjoy this Frozen movie inspired collection all year-long even on hot Summer days! Plan ahead for your next rainy day, snow day, play date, or party to try a Frozen activity that will delight everyone! These beautiful and cool Frozen activities aren’t just for Winter! Have you seen our book? Click photo for details! Previous Post: « Why I Am OK With Being A Selfish Mom. Are you?